The Chinese Canadian Pharmacists' Association (CCPA) consists of over 300 pharmacists from various practices including community, hospital and industry, as well as undergraduate pharmacy students from the University of Toronto and the University of Waterloo. CCPA is one of the 14 sections of the Federation of Chinese Canadian Professionals (FCCP) of Ontario, which is a non-profit organization. Each year, CCPA organizes a number of continuing education seminars for our members, and at the same time brings together pharmacists working in various settings, such that they can share their experiences. Other objectives of the Association include contributing to the community, promoting the pharmacy profession and serving as a voice on matters of social and cultural concerns of Chinese Canadian pharmacists. We would like to invite you to join us and share with us the pride of the achievements we’ve accomplished. It is only with your participation and support that CCPA is able to continue promoting its objectives and reaching out to your Chinese community. To bring together pharmacists working in various fields such that they can share their experiences. To provide for and encourage the sharing of information and promote communication among members. To serve as a voice on matters of social and cultural concerns of Chinese Canadian pharmacists. To increase awareness of the essential role of pharmacists in the Chinese community. To contribute to the community and promote the pharmacy profession. With our Annual Fundraising Bowling Tournament, the FCCP Education Foundation established a $1000 entrance scholarship at the Faculty of Pharmacy in the University of Toronto in the fall of 2001 and at the Faculty of Pharmacy in the University of Waterloo in 2009. We continue to bring pharmacy awareness to the Chinese community. In the past, we held numerous public seminars held at the Yee Hong Centre for Geriatric Care and the Agincourt community Centre, public displays on health topics at different community sites, radio talk sessions with the Toronto Canadian Chinese Broadcasting Corporation in Cantonese, as well as, participation in the Heart Beat newsletter and symposium. Yong Lin is an associate owner of Shoppers Drug Mart at Leslie and Finch. He has a Ph.D. in Pharmacology and an MBA from IVEY business school, Western University. He is a Certified Diabetes Educator and recently enrolled in Opioid Dependence Treatment Program at CAMH. He is also a preceptor at the University of Toronto and a professor at Canadian Academy of Natural Health. Yong Lin is also a volunteer in EMAS Canada’s medical mission in China. In his spare time, Yong Lin enjoys travelling, swimming, scuba diving and skiing. As the President of CCPA, Yong Lin is focusing on increasing CCPA membership and membership benefits. A new graduate from the University of Toronto (2014), Kenny is a pharmacist at Eustace Pharmasave, an independent pharmacy in the town of Georgina. When Kenny is not at the pharmacy, he dedicates his free time to duties as a Board Director of his condominium and official sofa cheerleader for the Toronto Raptors. His favourite athlete is Roger Federer and his dream car is a Tesla. As V.P of CCPA, Kenny looks forward to the challenge of improving student and new graduate engagement in the organization. Philip is a full-time relief pharmacist with PharmaPlus, primarily covering areas outside Toronto. He is also a member of the Board of Directors at his townhouse condominium. Olivia is the pharmacy inventory operations leader at University Health Network and an adjunct lecturer at the University of Toronto. She completed her BScPhm at the University of Toronto and a post-baccalaureate PharmD part-time at the University of Colorado. Olivia is involved from the national to local level with the Canadian Society of Hospital Pharmacists (CSHP), and was the past Education Chair for the Ontario Branch. She received the Wightman-Berris Academy Individual Teaching Performance Award for 2015-2016, the CSHP New Hospital Pharmacy Practitioner Award for 2016 and the CSHP Ontario Branch Mentorship Award for 2017. Outside of pharmacy, Olivia enjoys going on food adventures and playing the piano in her free time. Janet is a consultant pharmacist at LMP Advantage Care Services. She is a Certified Diabetes Educator and recently became a Certified Geriatric Pharmacist. She is a member of the Canadian Pharmacists Association (CPhA), Canadian Society of Hospital Pharmacists (CSHP), Canadian Society of Consultant Pharmacists (CSCP), and serves as Membership Director for Chinese Canadian Pharmacists Association (CCPA). When she’s not busy using her clinical skills, she can be found spending time with her family, reading a good book, or watching the latest movie! 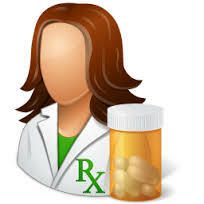 Wendy is a pharmacist with Sobeys Pharmacy. When she is not in the office or in the dispensary, she is out networking with professionals from different fields and dedicating her time to professional organizations. She is also a board member of the Federation of Chinese Canadian Professionals representing the pharmacy section. She enjoys advocating for the pharmacy profession by participating in community seminars with other health professionals and helping University of Toronto with their pharmacy admissions. She loves talking to others about the newest updates with medications over dinner! Nancy is a pharmacy student from the University of Waterloo. Her interest is in critical care, with a particular fascination towards cardiology and antimicrobial medications. After graduation, she would like to pursue hospital residency, to further expand and specialize her knowledge. In her spare time, you can find her wandering around downtown Toronto snapping street photography. Victoria is a pharmacy student at University of Toronto's PharmD program. She enjoys volunteering at community outreach events that educate patients on pertinent health issues and help them become more involved in their health. As a member of University of Toronto's Pharmacy Awareness of Geriatrics, Victoria has particular interest in improving health outcomes for seniors through educational initiatives. With today's rapidly evolving health care environment, Victoria attends seminars to keep up to date with the changing roles of pharmacists in patient care. When she's not practicing pharmacy, Victoria can be found working out at the gym. She loves training for dragon boat and hopes to represent Canada one day!